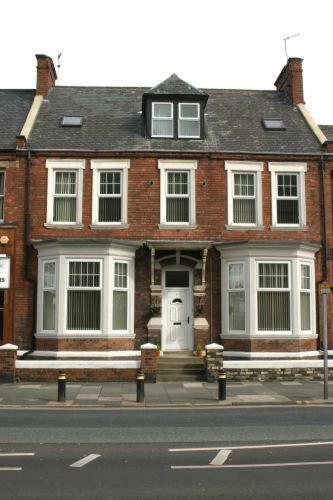 This homely guest house is situated in the coastal town of South Shields in Tyne and Wear, which boasts 6 miles of coastline and a beautiful pier at the mouth of the Tyne. Set within a large, double-fronted terraced house with a warm atmosphere, Athol House is just a short walk away from the beach, parks, nightlife and restaurants. Furthermore, it is only a 5-minute walk away from the local metro station, which will take you to Newcastle City Centre, the Metro Centre shopping complex and Newcastle International Airport. Recently refurbished, this modern guest house provides large and spacious rooms with modern décor.